When you have bad credit, yet still strive to become a homeowner, there are many obstacles that will be placed in your path. The credit history that you have built over the course of your lifetime plays a major role in deciding whether you are able to obtain a home loan. The lower your credit score, the lesser your chances of receiving a mortgage rate that suits your financial needs. However, even with bad credit and a housing market that is in shambles, you can still qualify for a home loan. You can qualify for a home loan by establishing a steady improvement to your overall credit score, which allows a lending institution to see you as less of a risk. All you need to do is follow these very simple steps. Many people are often too nervous to check over their credit report, believing that their credit is poor and does not require a second glance. Do not allow yourself to fall victim to this mindset. Everyone is entitled to a free look at their credit report, which is a fact many citizens are blissfully unaware of. Failure to look at your credit report each year could result in inaccuracies that adversely affect your ability to obtain a home. By taking the time to go over your credit report, you can report these issues to the credit company, which forces them to update your information. If you are aware of your poor credit score, it behooves you to expect a higher interest rate. When you do not have good credit, lenders are forced to raise their interest rates accordingly, since you are considered to be high risk. You may also qualify for an adjustable mortgage rate, which means experiencing a low monthly payment or a higher one, depending on the whims of the marketplace. 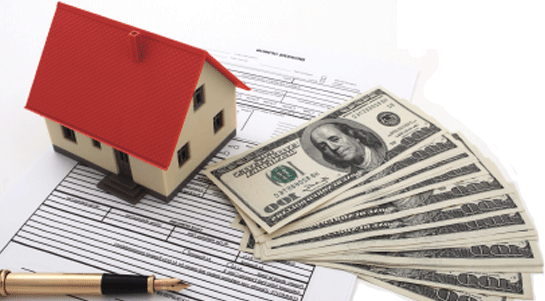 Inability to provide proof of a steady, continuous stream of income will lead to the denial of your loan request. Demonstrating that you have a good job that provides you with enough income to pay your monthly mortgage goes a long way towards convincing a lender that you are not a risk for default. The higher your income, the easier it is to overcome bad credit when applying for a home loan. One of the main aspects of your finances that a potential lender will take interest in is your overall ratio of debt to income. If this ratio is not properly balanced, then you are unable to request a mortgage loan, especially if you have a checkered credit history. Any balances that exist on your credit cards or other loans that you have procured in the past must be paid in full before you can reasonably request a bad credit home loan. A poor credit score is more easily overlooked when you have no current debts. When you are applying for a bad credit home loan, you must be willing to put down a sizable down payment to assuage the fears of your lenders. The larger the down payment, the more reasonable your interest rate becomes. A large down payment demonstrates to a lender that you are serious about becoming a homeowner. It also showcases your saving abilities, which will give a lender more confidence in your financial practices. By spending a larger amount of money up front, you can prove to a lending institution that you will do whatever it takes to keep your house. During the loan application process, you are given the opportunity to explain any and all financial difficulties you have had along the way. While these explanations are not going to wipe away your poor credit score, they can provide a useful context for the lending institution and allow them to see both sides of the story. These explanations become more necessary depending on the size and severity of the loans that were defaulted on. If you have already experienced difficulties in paying a mortgage and have had a home foreclosed on, any mitigating circumstances that you can provide to the lender help greatly. Prospective homeowners who have run out of other options to consider can look to a couple of different sources to provide them with the aid that they require. There are a number of government programs available to you and they all come with a much higher degree of flexibility when it comes to credit histories and lack of cash on hand. If you are unable to qualify for any of the loans that are offered by the federal government, then it may be time to consider asking someone in your life who has maintained a quality credit score to co-sign for you. Perhaps a trusted family member or parent is willing to give you the boost that you need. With their help, you can qualify for a more traditional mortgage loan, even if you have poor credit. It is important to note that the person who co-signs will be held financially responsible if you cannot make your mortgage payments, so beware of this risk before you decide to ask for this kind of assistance. This type of arrangement can place a great deal of strain on your familial relationships.